Principle #3 – Change. Learning is a specific type of change, which is governed by principles of (a) repetition, (b) time, (c) step size, (d) sequence, (e) contrast, (f) significance, and (g) feedback. 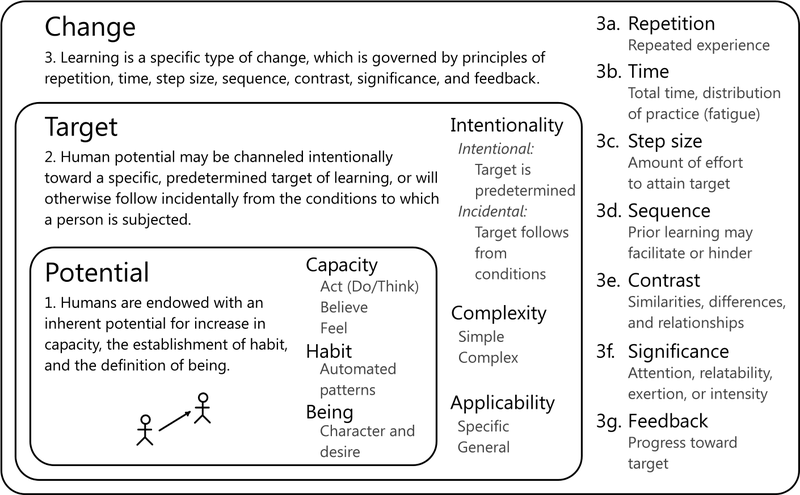 These principles of change have been added to the model in Figure 5.